After the monumental success of their debut album Antidotes, Foals shied away from the public eye and spent two years working in silence. They are now back to announce the release of their sophomore album, Total Life Forever. Produced by Luke Smith in Gothenburg this highly anticipated new album is scheduled for release on May 10, 2010. On “Spanish Sahara”, the first track to surface from Total Life Forever, the Oxford-based quintet seems to have traded in their trademark hyperactive electroclash guitars for a more subdued post-rock, experimental sound. Yannis Philippakis (vocals and guitar), Jack Bevan (drums), Jimmy Smith (guitar), Edwin Congreave (keyboards) and Walter Gervers (bass) seem to have become a hell of a lot more serious (grave?) and this also shows in the dark and disturbingly beautiful video that illustrates the song and that you can watch HERE. Be it said that “Spanish Sahara” got the remix treatment by the hand of Mount Kimbie. 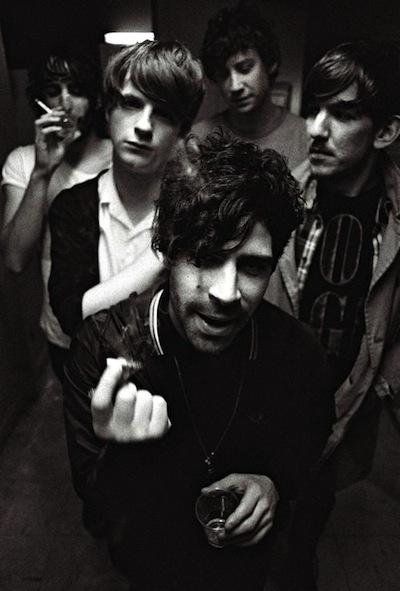 The remixed version of the track, reminiscent of trip-hop and ambient electronica, is now available for free download on Foals’ official website.